Arizona's 30 state senators each represent a unique district of voters. Republicans have held the majority in recent years, although most recently by only a handful of votes.The job pays $24,000 a year, plus mileage and per-diem during session. Family Wife of 20 years "Cynthia", two teenage sons, "Justice Colt" and "Gatlin Tucker"
Yes, but the pay raise is not enough for teachers in lower paid districts. What was once $30,000 per year or an average of $8 per hour is now $35,000 per year at an average of $9.50 per hour. Most people don't realize that teachers work far more than the daily grind and their summer vacations are not actual vacations, but planning time and time to put together educational plans. Federal regulations placed upon teachers for IEPs and 504s should be covered by well trained classroom aids, so the teacher can teach the 'standard' students without catering to those with a special need. The children being left behind are those who do not fit within the guidelines of these regulations and Arizona is leaving these 'standard' students to be grossly under educated. Yes. Arizona makes it more difficult for charter schools to operate and requires a far more in-depth reporting system for charters. When it comes to the school boards/CEOs or charter corporation itself, the group is required to submit a very wide variety of reports on finances and other major requirements that a public school does not. I get the hint that you are against charters, but your information is wrong. No. I believe you need a lesson in the law here... We have a gun LAW called the Second Article to the BILL OF RIGHTS. IE. the Second Amendment. It clearly states that because of a well organized state militia, the right of the people to keep and bear arms shall not be infringed. Shall not be infringed would make any law upon the right of the people to keep and bear arms would be anti-Constitutional and any elected official allowing those unlawful statutes to exist would be in violation of their oath of office. As such, if they continued to serve in their elected capacity, they would be doing so under constructive fraud and felony perjury. Further, for a private citizen to pursue the abrogation of [gun] rights on any American, they are themselves in violation of Title 18, U.S.C., Section 241 - Conspiracy Against Rights and I believe they must be held accountable to their violation of the law. https://www.justice.gov/crt/conspiracy-against-rights It might mean you, so learn the law. Mental health care needs to be seriously addressed and I TRULY BELIEVE that today's youth has a bad outlook on their own futures. This one of the main reasons I have spent decades developing the “Mealer Initiative” ArizonaVested℠ jobs and businesses expansion plans where 'our' youth can step back and take a look at the future they can have rather than be dragged down by parents and teachers and the media who loathe the current situation and have nothing positive to say about it. THIS IS POSITIVE and as all people are taken at their actions and words and viewed from a psychological perspective (perhaps in the schools, welfare roles, wherever it can be applied), we can act to discourage the crazies and encourage those who want to improve their lives and give them the opportunity of my well designed and long researched, Mealer Initiative 2018 ArizonaVested℠ jobs and businesses expansion plans. Summing it up 1-Real Mental Health counselors' in all schools. 2-ArizonaVested℠ for our futures. Sure, why not? From what I have heard, it is far less dangerous than alcohol, less addictive than alcohol and if Arizona bases a bio-medical system based on the titration to a molecular level of cannabis rather than poppies, we can create a huge bio-medical system to tax along with the alcohol-styled taxation of cannabis. We could even allow home grow and help end the illegal drug trade and related deaths from south of the Arizona-US-Mexico border. Back to recreational marijuana- It should be regulated and taxed like alcohol, allowing for home grow as we allow for home brew of alcohol. It's legal use and substitute by alcoholics may even help end domestic violence to a degree, that alcohol seems to inspire. #1: We must dredge out the Glen Canyon Dam or at least the San Juan arm, as soon as possible and if the feds won't do it, Arizona, Utah, Nevada must. When the dam's ability to function properly fails, we will lose Lake Mead and most of Arizona's water. I had a group who wanted to grow industrial hemp along Hwy 89a (via 2014 Gov Race) with a system based upon that silt and an underground triple pipeline that would divert Colorado River / San Juan River water that is currently going to waste. They would have paid for all of it and then paid the Hopi and Navajo nations to harvest the hemp and other agri-industrial plants. We can make an agreement with Mexico to NOT waste their share of Colorado River water by allowing it to flow into the Gulf of California as they do now. However, we should prepare with large underground water storage sheds in strategic areas of the state. I had that covered in Mealer Initiative 2014. Everyone deserves the right to be treated equally under the law. A private business owner or someone who is NOT incorporated has the right to refuse service to anyone, but that right of service is removed under the protections of the corporate structure. Any incorporated business must provide equal service to all prospective customers. HOWEVER, this also removes (by law, currently) a businesses "ladies night" or "man's night" or other special offers based upon gender. No. It's bad for business and actually will backfire on those who are pushing for it, if, for example; "the wrong people/religions" open businesses en masse as is happening in Dearborn, Michigan and the institutionalized use of Sharia Law within the USA. Until the wall is built (IF it is built), I think we should encourage a form of 'self-reporting' of families headed to the US via Arizona when they are not able to enter lawfully through one of the many US Ports of Entry. That would mean the family en route would send a simple text or email or report via website to CPS/DCS or some state or county agency that they are on the way and have children in tow. Sure, they may have their abused children taken away before they are all sent back to where they came from via a perpetually run bus system from Arizona to the tip of South America (just a thought). We could provide Arizona National Guard and/or Arizona Rangers as a back up force to the federal government agencies when needed. Not that I am aware of. That would mean "no". Creeps are everywhere, but I'd like to see certain tort laws removed so that if harassment occurs, the person harassed can sue the proper parties. I'd like to see all tort law protection revisited on all levels. If elected, I plan to gather millions of signatures throughout LD7 and all of Arizona so I can 'cut in line' at the next state legislature session and put this before Arizona's governor to make it law. If you don't know the plan/program, please find it online and learn what will allow Arizona to thrive and for our education system to become number one worldwide. My plans for Arizona Schools S.T.E.A.M. program which will compete first nationwide, then worldwide, goes hand in hand with this because we will be able to fund our children's future while we get ourselves out of the dry, dusty ditch of Arizona's "barely getting by" way of life. Suicides and lack of empathy for a future as related to our children. Arizona's youth has nothing to look forward to and if they do complete school and move on to college or other education and/or training, they usually cannot pay their student loans if they remain in Arizona. The same goes for the millions of Arizonans who've tried, succeeded or failed and have nothing to show for it. Once we hit the wrong age, we cannot get loans for our business goals. Over regulation and requirements placed upon small businesses or the 'Little Guy With the Dream" along with the massive dream crusher of Pay-to-Play and Good-Ole'-Boy (no job for you unless you're related or go to the same union/ward/church) mentality has absolutely destroyed people. Facts are that local law makers make agreements with mega-corporations so that the little guy cannot compete, if the little guy ever had a change to fund a big box store (for example) the mega-corps have needed real estate on hold and lawmakers in pocket. Yes the funds should be accepted and spent exactly where they were allotted to go ... God only knows the children and those less fortunate can use every red cent they can get their hands on and if we do it right maybe they'll take it as a 'hand up' instead of a 'handout' and quite possibly the children will stay safe and sleep a little better each night and eat a little better each day. However I don't believe any of the funds should go to illegal aliens or their children because they are living on a different Federal support system, even though they should not be living int he USA illegally. My economic plans are designed to alleviate the need for any of these type of funds and to put everyone back to work or into their own hard to finance (in this day and age) business and we will create an investment infrastructure in Arizona that rivals all others. 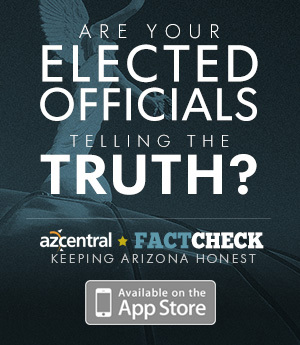 ArizonaVested℠ is the program I created and our great state really needs it. I've answered this question many times and I truly believe that grandparents or any other relatives that take in another relatives' children or other dependents who are not direct siblings of theirs should receive the full amount that foster care gives to everyday, unrelated to the children. foster parents. I would also like to see something of this nature done for adult children who take in their parents or grandparents and care for them. Again, through my program called ArizonaVested℠ , everyone in Arizona should be well off and well-to-do, including the elderly, who, regardless of the new business or career they may not be able to begin, they can invest in ArizonaVested℠ and make money they've only dreamed of before this program began... That is if it ever begins. I just need to make it to an elected office first.